Neck Pain can happen after an accident or over time, but it is difficult either way. 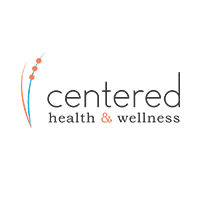 Dr. Corey Idrogo, a chiropractor at Centered Health & Wellness, serves patients in Chattanooga, TN, helping them beat the pain naturally. Many people develop neck pain because of neck joint changes that happen as they age, a condition caused spondylosis. Degenerative disc disease is another common reason for neck pain. This disease is also related to aging, and it can develop slowly over time as the discs lose their ability to handle shock as well as they once did. As the discs continue to degenerate, the area between the vertebrae shrinks. This, in turn, causes compression of the spinal joints and may result in arthritis within those spinal joints. Degenerative disc disease can cause some of the neck segments to loosen and become unstable. This can lead to even more wear and tear, eventually resulting in herniated or bulging discs. Sometimes neck pain is related to posture, especially in people who slump forward or who crane their necks constantly to look at a computer screen. Finally, neck pain is often caused by auto accidents. One of the most obvious signs of whiplash after an auto accident is neck pain. How Can Neck Pain Be Treated? The treatment for neck pain depends on the specific cause of the pain, but chiropractic adjustment can provide immediate relief for many people. Dr. Idrogo will begin with a gentle exam of the cervical spine so that he can identify the problem. An x-ray may also be done to definitively determine the reason for the neck pain. In addition to chiropractic adjustments, the treatments for neck pain may include massage, mirror image spinal remodeling, and instrument assisted soft tissue manipulation. At Centered Health & Wellness, the goal is to bring the patient back to a state of wellness without the need for any invasive treatments or medications. Can Neck Pain Be Prevented? Yes, it is possible to prevent neck pain in some cases. Maintaining proper posture can be very helpful in preventing neck pain. Some patients may benefit from the use of ergonomic devices recommended by the chiropractor, as well. Regular chiropractic adjustments can keep the spine healthy and can help patients stay free from neck pain.